For the final discussion over Ann VosKamp’s One Thousand Gifts, a Friendly Final Exam over the entirety of the book will be distributed in order to be completed with a partner. What was the title of the book you were supposed to have read? Who is the author of the above book? Why were you asked to record your thanksgivings in a journal? Give an example of ugly/beautiful. List the names of the other people in the room. Humility comes from the Latin root humus– the kind of earth that grows ____________ crops. Extra Credit: What was thanksgiving #362? 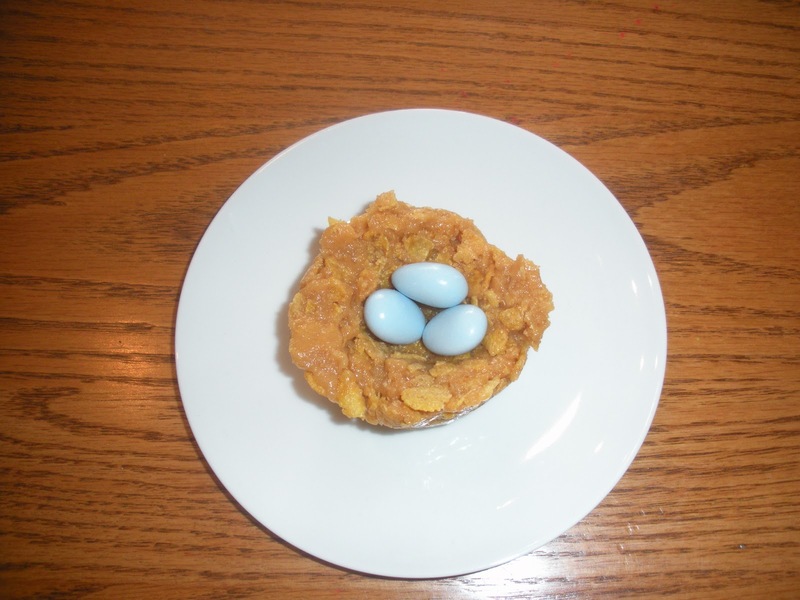 While working on the “exam,” members may snack on “Nests Filled with Eggs,” which are simply peanut butter chews scooped into cupcake tins and then shaped into nests. Once cool, fill the nests with eggs, candy-coated almonds. For the intentional activity of joy, make use of your local prayer labyrinth if possible. Walking the circular path while giving thanks at each stone will not only nourish the soul, but also burn those extra calories from the “Nests Filled with Eggs” snack. There lies the difference between men and women. The Lord of the Rings by J.R.R Tolkien. Although some would say it’s not a children’s book, I read it when I was probably 11 or twelve and to this day, I read it every year. Something about the magic, the characters, the epic story of good and evil fascinates me. In fact, when I can’t sleep at night, I go through the story in my mind word by word, and I always drop off to sleep. For some reason, it calms me. Go figure. So save my marriage and go out and adopt a pet from a shelter! When I was little, I wanted to be Shirley Temple and live in the mountains with her grandfather. A little older, I wanted to be Lucy in The Lion, The Witch and the Wardrobe. And as a teenager I wanted to be Arwen from The Lord of the Rings. Now? I have no desire to be Arwen any more (despite the fact I read the series annually, and go to sleep reading the book in my head). Nope, got to draw the line somewhere. I’m a musician by trade (I teach violin and play in The Georgia Symphony). I love to write, paint, cook – basically create. It doesn’t really matter the platform. The creative right side of my brain is so dominant and thriving that I imagine the logical left side of my brain is this puny, shrivelled up nub. You’ve got to have determination in life. Hold on tight to your goals, your dreams, your blessings. If you don’t, the trials of life can steamroll you and flatten you out like a pancake. This quote reminds me to be strong despite adversity and to remember one important goal: I refuse to go through life like a pancake. Just love that song – full of hope, playfulness, epic adventure and magic. Okay, a therapist would probably love me. Definitely, have an obsession with The Lord of the Rings…There’s even a character in my next book, Musical Chairs, whose nickname is Strider. That my family would be safe, healthy and happy. I pray for that most nights. I would love gobs of money but money doesn’t make you safe, healthy and happy. Monopoly. Although it’s not my favourite game now or actually even then, it’s a game I remember playing one special time with my older brother, Chris. He was home from college and randomly decided to play Monopoly with me. Just kind of sticks in my mind because he died a few years later in the Navy. I was thirteen when he died. Any memories of him, I have always clutched closely to my heart. Laughter and entertainment. 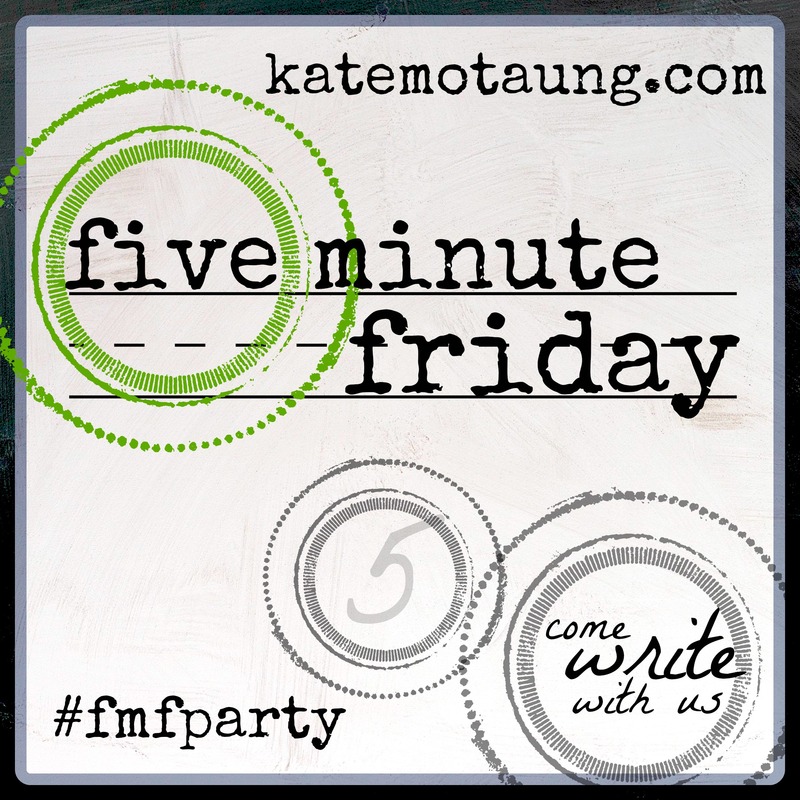 My writing is not literary fiction – it’s not thought provoking and intellectually stimulating. It’s just fun, wacky fun entertainment. And I think there’s a place for that in this world. Waiting in the dentist’s office for my name to be called, I decided to flip through Dr. Oller’s reading materials. 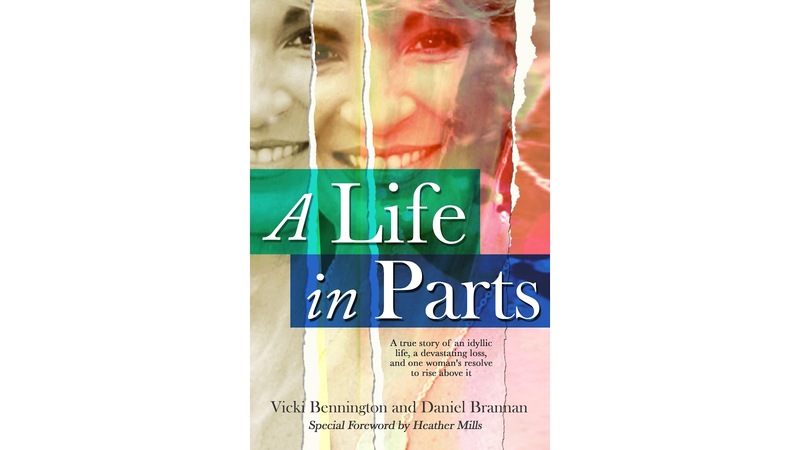 Usually I reach for a magazine since the wait time is next-to-nothing if any at all, but this time a work of fiction titled A Life in Parts written by Vicki Bennington and Daniel Brannan caught my eye. Flipping to the back cover, a picture of a striking woman intrigued me especially after I read her legs and portions of her hands had been amputated. My vision, corrected with contacts, still made me question what I was seeing so I pulled the book closer to my face. What I saw was a beautiful, joyous woman with no trace of any suffering, scarring, or self-pity. Soon my name was called, so I begged Monica, my dental hygienist and fellow author groupie, if I might be able to borrow this book. A quick-read, the fact that this work of non-fiction revolved around the life of a local Midwesterner made it even more engaging. Abruptly faced with toxic shock syndrome after a freak occurrence in her home, Loretta Goebel faces life as an amputee. A wife, mother of two, devoted friend, and volunteer, A Life in Parts relives Goebel’s journey to a new normalcy with fierce determination and continued faith despite the obstacles and eventual losses which accrue along the way. For a book club’s convenience, study questions have been included in the back of A Life in Parts for discussion. Since the ideal of familial traditions and gatherings proves motivating for Goebel throughout her healing, a meal filled with comfort food- chicken, mashed potatoes, and corn- which greeted her at her arrival home from the hospital would be appropriate for the menu.